Day 13 a beginning of a beginning to a new me. 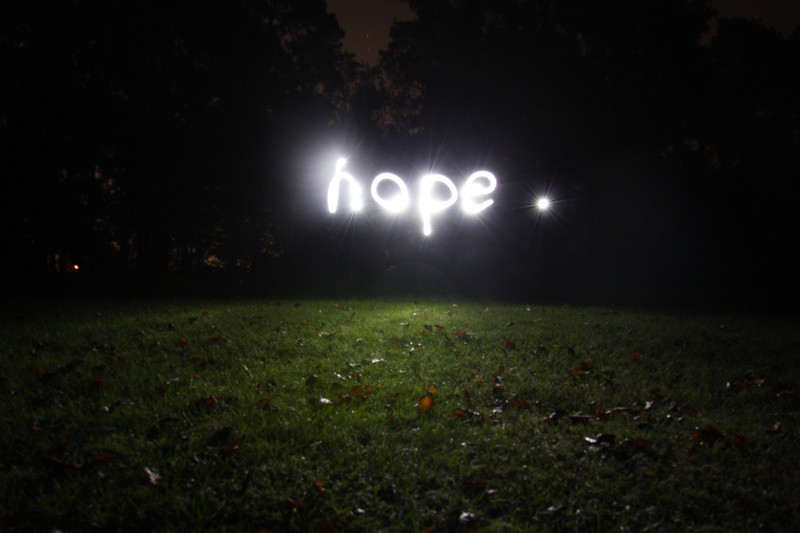 There is always hope in our lives. I woke up feeling very happy because of what happened last night; it was a breakthrough for me in my relationship w/my husband. Saturday evening we attended a 3-day conference at a church that my husband’s co-worker invited him to; they had a guest speaker from the Power Team preach that evening (for those that don’t know what the power team is, they are know for their strength and break bricks and so forth). I don’t remember the name of man that preached but he talked about how he has never been a talker so when God called him to preach he wasn’t comfortable. He said to this day he will preach but still does not talk very much. During the sermon he said that while he was saved he was miserable, these are words he said that were an oxymoron. How can you be saved and miserable at the same time? Well he explained that by doing things for God he would move up the ladder, like be a worship leader or a youth minister etc., etc. When those things didn’t happen he because miserable so he stopped doing things for God. Then he read that God’s ways are not our ways we don’t move up a ladder in God like we do in the corporate world. Anyway a lot was said in regards to that part of the sermon that lead to of the end of the message; he said I don’t want to live if I don’t change. The last part of that sermon is exactly what got me to start my blog. I knew at that moment I was doing the right thing with this blog. I didn’t want to continue living my life in anger, unforgiveness or bitterness. I’m not going to I know that I won’t change overnight but I know that for once in my life I am on that right path. All this time wasted on my past emotions but oh well, better late than never. If you have any thing to share w/me please feel free to comment. This entry was posted in Self-Help and tagged Diary, God, Healing, journal, religion, women. Bookmark the permalink. No time is wasted. Jesus makes everything work for the good of those who love Him, including past mistakes. 1) Wake up early in morning, at least 1 hours before sun come out. 2) Brush your teeth daily, a least 3 times. My scripture recommend 5 times. 3) Bow down to God (prayer) early in morning, so blood can rush to your head and you will feel fresh. 4) Have some stretching exercise before works. 5) After wake up, go to bath or if can not wipe your face. 8) If can read book, after settle all above. The half an hour after wake up is determine you going to success or not. Most of successful people doing this kind of ritual every day.